We will provide the information in market for the flowers such as Roses, Carnation, Chrysanthemum, Gladioli, Gerbera, Bird of Paradise, Heliconia, Anthurium, Orchid, etc. in India's major cities as well as abroad. We will assist in identifying the right buyer etc. 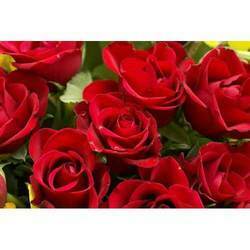 In India & in foreign countries if produced in large quantities of Dutch roses, Anthurium etc. With buy back agreement at fixed rate. All the Hi-tech Agriculture Project like Horticulture, Grape Cultivation , Floriculture gets subsidy upto 20 % on Capital Cost from National Horticulture Board. The Project has to be submitted to the Bank. The Bank is turn send the proposal to N.H.B. The letter of Intent ( L. O. I. ) is obtained form NHB, then disbursement is made by bank to the consumer. The total assistance is given from preparation of Project Report, getting sanctioned from the bank & obtaining subsidy from N.H.B.